I’ve been back in the US for just over 2 weeks now. It feels like so much longer though. I miss France like crazy even as things are slipping more into normal here. I’ve been busy and bored. It’s a weird discombobulation of things- working part time at my marketing job, working on projects, baking and cooking like crazy (thanks to the ridiculously awesome stocked kitchen we have and a gift of a ton of flour, sugar, and butter courtesy of mi madre), and I have a super cool new job – helping with catering at a well-known B&B! Thanks for the reference BMcD! But how was the trip back? You know I always have a good travel story. They usually range from missed alarms, forgotten passports, or close to flat tires but this one.. this one might just surprise you! I bought my plane ticket to Dallas just a month before I was due to leave the country. A good bit of procrastinating ended up saving me $200 on my plane ticket annnd I even got a direct flight option. A sign of good things in my traveling future? 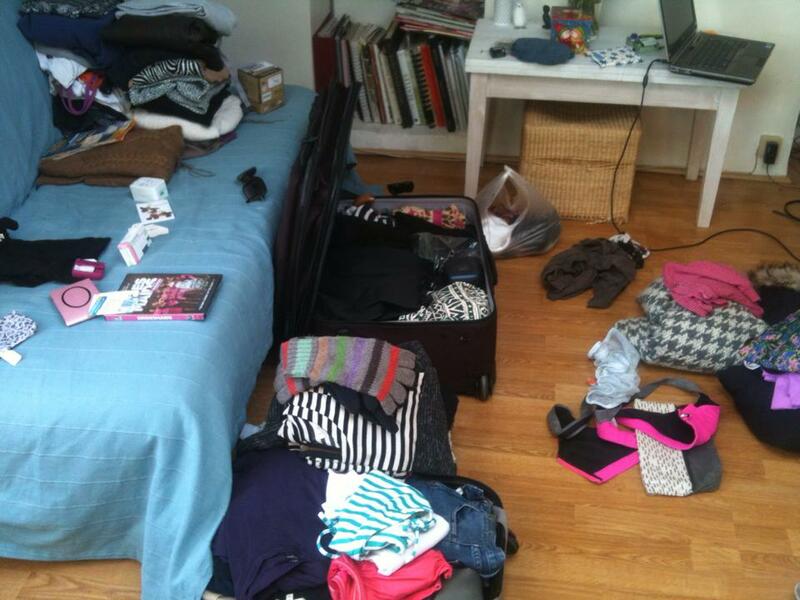 About a week before I left I started going through my things and deciding what should stay in France. A good amount of wine was involved. An early morning trip out of the city and they were stashed at a friend’s place. Thank you Jess and Vincent!!! Then I was down to three days and contemplating packing? Especially because I had to narrow down what had come to France in two large suitcases, a backpacking backpack, and a carry on and what I had bought in France, to just one large suitcase and a carry on. Then did some errands aka. tea and chocolate shopping for mom, a last amazing pastry for me in the Tuilleries from Fauchon, and champagne with the chefs at La Fabrique where I did my stage. Then drinks and charcuterie with the girls before a mad rush at the end of the night to bring two bags over to Jenni’s that would absolutely not fit in my suitcase. The next morning I was up at 5am, struggling to repack once again, double checking that I had my passport, and soaking in my last view of Paris. The plan as I’d told my friends the night before would be to see if I could make it to the elevator and the door leading to the street with all my bags. That would decide if I would take a taxi the full way to the airport or just halfway and catch the bus in between. A Zeus level struggle later and I was on the phone with the taxi company. There was no way, I was even starting to question my ability to walk through the airport! I made it though. In a bit of a daze because me and early mornings never work. Up first- check in my massive, probably overweight, despite checking it 4+ times, bag. As I was waiting in line, the attendant took a look at my carry on and said umm I’m not sure that is going to fit in the overhead. Do you think you could make it smaller? A quick sure! and no more questions. I didn’t even have to attempt to show him that indeed it was going to fit. Speaking of weight limits- let’s get to my checked bag. The one that was 2.5 kilos over. The lady just smiled at me and said “just be careful next time, or there will be a $60 fee.” as she slipped a “heavy” tag on to my bag. Next was security and I was one bag over the two bag allowance, and you know the situation with my carry on. My purse got caught for a security search. Maybe it was because I decided that a liquids bag wasn’t necessary for this trip or that I’d entirely forgotten what I had in my purse? The security team was in the middle of training someone and being extremely thorough with the items that were stopped before mine. I was waiting and waiting until a new security guy happened to come through and call me over. A very quick search through my bag and I was suddenly being asked how old I was which then spurred a conversation with another security guy in French about the age range of women they would date. Needless to say, I was passed through without anymore questions. A little while into the flight and I was looking in my purse for my chapstick and happened to unearth pepper spray and a wine bottle opener…? Good job security man, good job. The rest of the trip was uneventful- lots of flying, watching the overhead bin above us open, three glasses of wine with my new found friend in the seat next to me, looking out the window, and changing the movie to be in French, because it was incredibly boring in English. A super speedy walk through customs and I was in Texas! Thanks for sharing! I can’t wait to see you in less than a month! Can’t wait to see YOU!!!!!!!!!!!!!!!! (Add in an additional bajillion exclamation points!) and you need to do a guest post! Miss you Miss You Tina Beana! oh more stories to come! 😀 I’ve got a lot of catch up to do! Awwww, loved the dog video. Best part of coming home for sure! 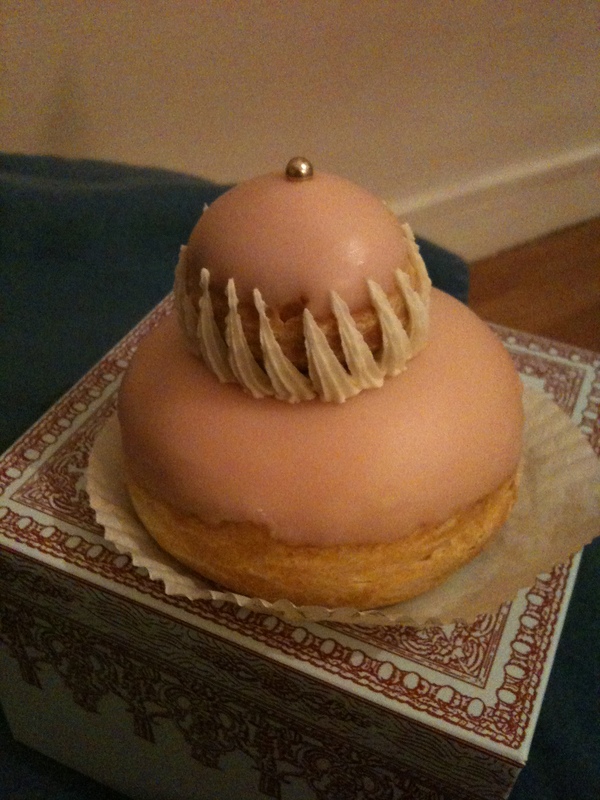 And dang aren’t those Religieuses at Laduree crazy expensive? Was there last month and they were like 7 euros. I passed. Was it worth it? oh it was! I started tearing up after seeing Mr. Nut! Well the religieuses, they were out of chocolate and I would have been happier with that but the rose flavored one I got was pretty good but I’m not a huge fan of rose. I think it was around 5 euros if I’m remembering? I don’t think I would have paid 7? You’re right- that’s insane! Totally… I need to update my own blog too! !